Calling The Pirate Bay’s owners “sellouts” who made a “deal with the devil,” users of the notorious torrent-tracking site expressed their frustrations across the Internet today. 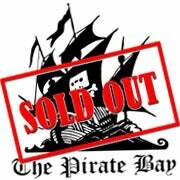 The cause of their ire, of course, was news that a Swedish company is buying The Pirate Bay (TPB) for $7.8 million. The buyer, Global Gaming Factory X, plans to turn TPB straight and end its reign as a haven for pirates who use the site to find—and illegally download—copyrighted content across the Net. File-sharing fans expressed their outrage in numerous forums for torrent-tracking sites, including Mininova, SuprBay, and TorrentFreak, as well as in social-networking venues such as Twitter. Of these, TorrentFreak seemed to have the liveliest debates.